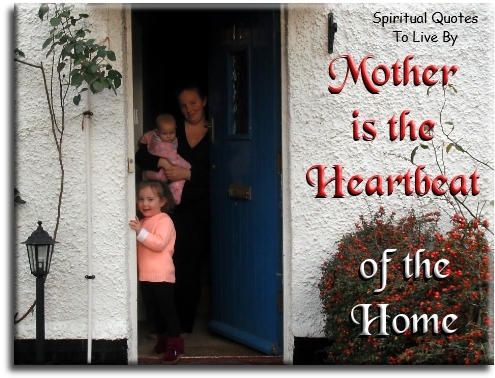 These sayings about mothers are all positive words of love and wisdom about the many blessings of mothers and being a mother. 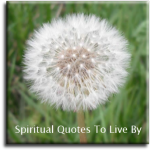 There are also many more wonderful phrases and verse from known sources on the Quotes about Mothers page. 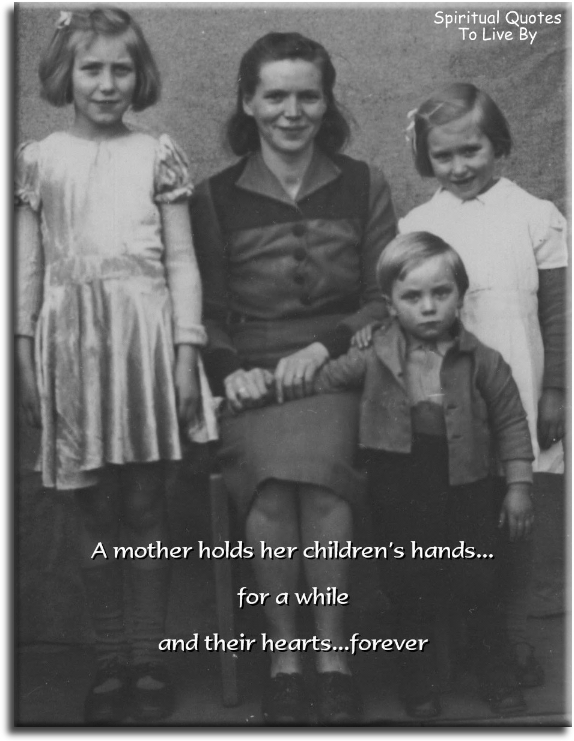 A mother holds her children's hands for a while... their hearts forever. 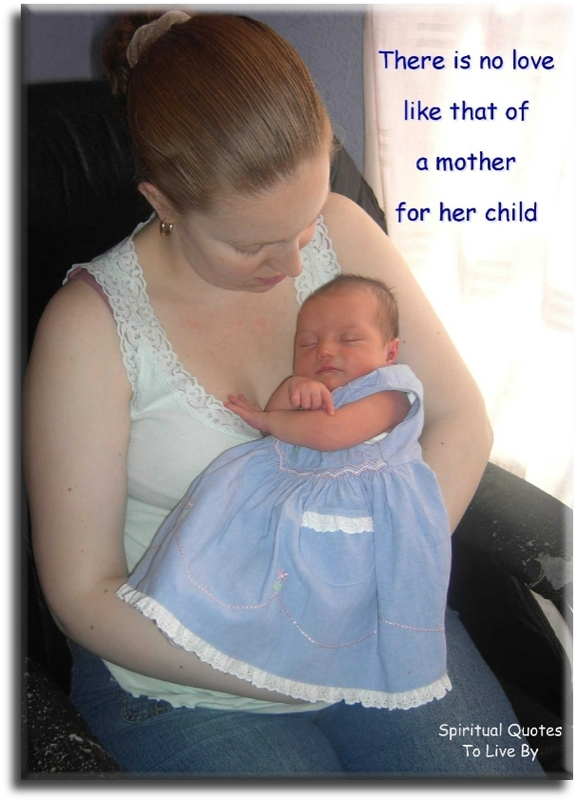 A mother is like a pavement in the middle of the fast lane. A mother is like the stars... even when you don't see her, you know she's always there. Someone who cares...when others care less. Someone who encourages...when others ridicule. Someone who defends...when others condemn. Someone with patience...when others are impatient. Someone who appreciates...when others fail to notice. Someone who gives security...in a world of insecurity. Someone who is accepting...when others reject. as her achievements will linger for generations. 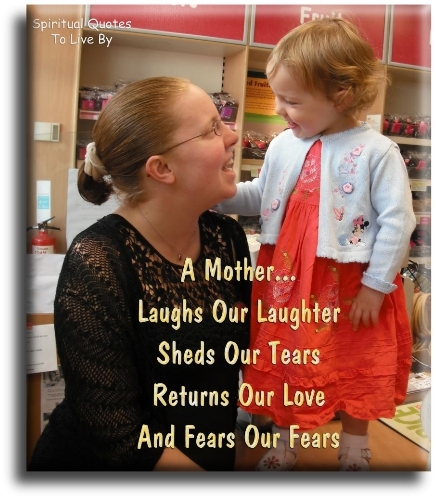 A mother laughs our laughter, sheds our tears, returns our love, and fears our fears. A mother's heart is a garden of love that is always in bloom. A mother's love is forever... time, distance and hardship, all fall before the strength of her love. A mother's love is like a circle... it has no beginning and no ending. Being a mom made me realise that life is an adventure. No two days are ever the same, which is so exciting. Children and mothers never truly part, they are bound in the beating of each other's heart. 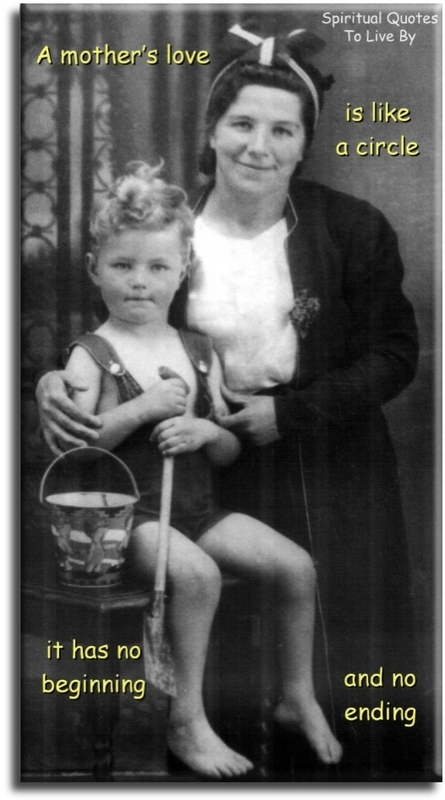 He who takes the child by the hand... takes the mother by the heart. I gave birth to you, but you came with no instructions. All I knew was that I loved you long before I saw you. I know I made some mistakes and for that, I am sorry, but I was doing the best I could with what I knew. Everything I did for you , I did from love. You are my child, my life, my dreams for tomorrow. I will always love you and there is nothing that could ever destroy my love for you. It’s such a grand thing to be a mother of a mother..
That’s why the world calls her Grandmother. It’s the little memories that will last a lifetime. Mother: an angel who holds me up when I find it hard to fly. Mother is the heartbeat of the home. Mother is the name for God, on the lips and in the hearts of little children. Mums are like buttons.. They hold everything together. There is a reason some people think they can do anything.. They listened to their mothers. 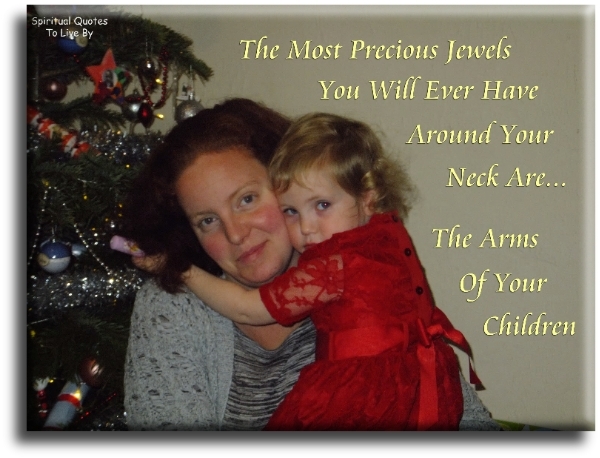 There's only one pretty child in the world... and every mother has it. When you need real understanding, when you need someone to care, when you need someone to listen, a mother is always there. Without my kids… tomorrow wouldn’t be worth the wait and yesterday wouldn’t be worth remembering.